San Francisco’s Laguna Honda Hospital is the last almshouse in the country, a descendant of the Hôtel-Dieu (God’s hotel) that cared for the sick in the Middle Ages. Ballet dancers and rock musicians, professors and thieves—“anyone who had fallen, or, often, leapt, onto hard times” and needed extended medical care—ended up here. So did Victoria Sweet, who came for two months and stayed for twenty years. Laguna Honda, relatively low-tech but human-paced, gave Sweet the opportunity to practice a kind of attentive medicine that has almost vanished. Gradually, the place transformed the way she understood her work. Alongside the modern view of the body as a machine to be fixed, her extraordinary patients evoked an older idea, of the body as a garden to be tended. 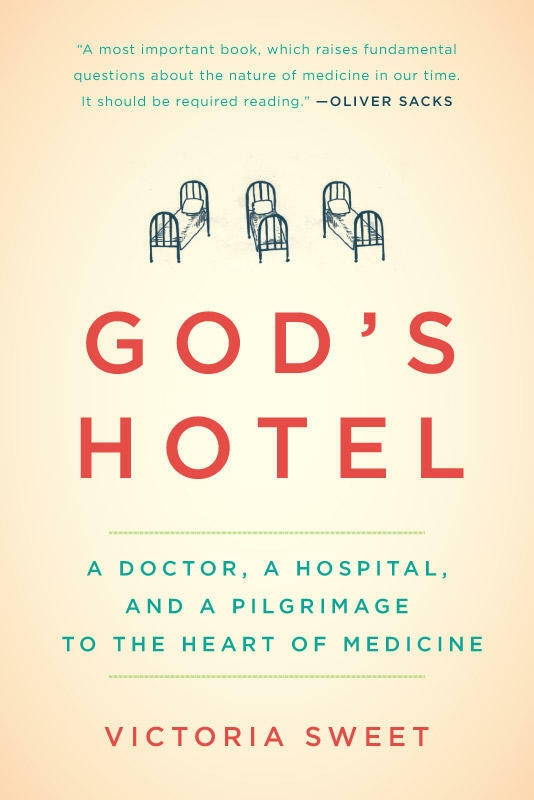 God’s Hotel tells their story and the story of the hospital itself, which, as efficiency experts, politicians, and architects descended, determined to turn it into a modern “health care facility,” revealed its own surprising truths about the essence, cost, and value of caring for the body and the soul. We like to imagine that medicine is based on evidence and the results of fair testing and clinical trials. In reality, those tests and trials are often profoundly flawed. We like to imagine that doctors who write prescriptions for everything from antidepressants to cancer drugs to heart medication are familiar with the research literature about a drug, when in reality much of the research is hidden from them by drug companies. With Ben Goldacre’s characteristic flair and a forensic attention to detail, Bad Pharma: How Drug Companies Mislead Doctors and Harm Patients reveals a shockingly broken system and calls for regulation. This is the pharmaceutical industry as it has never been seen before. Dr. Richard Besser is chief medical editor at ABC News, and author of the new book Tell Me The Truth, Doctor: Easy-to-Understand Answers to Your Most Confusing and Critical Health Questions. As an award-winning psychology instructor at Stanford University, as well as a health educator for the School of Medicine’s Health Improvement Program, Dr. Kelly McGonigal’s job is to help people manage stress and make positive changes in their lives. After years of watching people try to control their bodies, emotions, and choices, she realized that much of what they believed about willpower was sabotaging their success and creating unnecessary stress. Dr. Patricia O’Gorman, Ph.D is an internationally-recognized psychologist in private practice in East Chatham, and Albany, New York, is noted for her work in families, children of alcoholics, trauma, child welfare, juvenile justice, mental health, and substance abuse. "Catastrophic Care: How American Health Care Killed My Father - And How We Can Fix It"
In the September 2009 issue of the Atlantic, David Goldhill rocked the health-care world with his compelling account of how bureaucratic American health care killed his father. Now, Goldhill is back with a new book expanding on the topic, published by Knopf, entitled Catastrophic Care: How American Health Care Killed My Father--and How We Can Fix It.